Still Life's narrative borders on Shakespearean levels of romantic tragedy and social commentary, making it the most poetic and philosophical in Opeth’s catalogue. Sweden is home to some of today’s most revered progressive metal acts, including Meshuggah, Katatonia, and Pain of Salvation; however, perhaps none have been as integral to the success and expansion of the genre as Opeth. Formed in Stockholm in 1990, the quintet has spent roughly a quarter of a century transforming complex musicianship and diverse vocal styles into pure works of art (in fact, they often refer to their releases as “observations” or “volumes”, which emphasizes their regal ambitions). Indeed, each of their LPs offers something truly special, demonstrating an almost unparalleled level of consistent experimentation, tastefulness, and creativity. Naturally, fans like to debate over which of their ten records is the best. For some, the relentless ferocity of My Arms, Your Hearse or Deliverance reigns supreme; for others, the expertly balanced heavy/soft dynamics makes Blackwater Park or Ghost Reveries triumph; or perhaps certain listeners dislike the heaviness altogether, so they choose Damnation or Heritage. As much as I adore each of their offerings, I find that none of them match the melodic magnificence, conceptual brilliance, or seamless structural flow of the group’s fourth outing, Still Life. 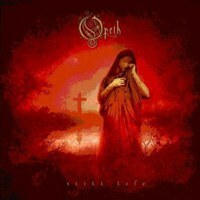 Not only is Still Life the finest Opeth release yet, but it’s also one of the best metal albums of all time. In celebration of its 15th anniversary, as well as in preparation for the band’s 11th opus (Pale Communion, due out in August), I want to venture into a detailed reflection of what exactly makes Still Life so damn remarkable after all these years. I’ve listened to it far more than any other Opeth piece, yet it never ceases to reveal new nuances and cleverness, making it still the most refined, intricate, and gripping entry in their discography. Frontman Mikael Åkerfeldt reflects that he began writing Still Life while staying with his best friend, Jonas Renkse (frontman of Katatonia). He says that “nothing was really happening” with either band despite both recently signing to Peaceville. Around the same time, he and [former] guitarist Peter Lindgren shared an old apartment and had to manage their food finances closely. He also mentions that this was the first record with bassist Martin Mendez. In addition, Åkerfeldt confesses that he was nervous about recording the collection because he was writing everything alone and no one had heard any of the songs yet. Taking all of this into consideration, it’s fairly extraordinary that they managed to create something so polished, coherent, and rewarding out of such risky and fragile circumstances. As you can see, this narrative borders on Shakespearean levels of romantic tragedy and social commentary, which makes it the most poetic, philosophical, and profound concept in Opeth’s catalogue. Of course, a storyline is only as good as the ways in which it’s presented; fortunately, the group does a standout job conveying the intensity and emotion of Åkerfeldt’s tale (more on that in a bit). In the end, he states, everything turned out “quite well. The material on this record was the most complicated music I’d written so far, and since, I believe.” Even after several subsequent masterpieces, this statement remains true. As we all know, the cover of something has a huge impact on its reception and endurance, and the cover of Still Life certainly does its subject justice. Designed by revered artist Travis Smith (who’s also worked on album art for Amorphis, Iced Earth, Anathema, and Riverside, to name a few), its majorly red and black palette showcases a medieval woman in the foreground, weeping and draped in sacred garments; in the background, we see a cross buried in a grave. Between them is a blood red lake and sky. It also appears that the scene takes place at either dusk or dawn, with dim light coating everything in an ethereal essence. This illustration is extraordinary for a few reasons. First, it’s simply a gorgeous yet haunting and mysterious image; really, it wouldn’t be surprising to find it hanging in an art gallery. Interestingly, the cover of Still Life is also more elaborate (and possibly more “artistic”) than its predecessors, all three of which consist of mere photographs (whereas this one is a painting). Also, it combines perfectly the scenic nature of its precursor, My Arms, Your Hearse, and the more avant-garde sketch used for its successor, Blackwater Park. Furthermore, the likeness represents both the story and sonic quality of the album exceptionally. We can suspect that the crying woman is Melinda, which would mean that she’s mourning at the grave of our ill-fated protagonist. The quality of the picture denotes something timeless and allegorical, like a cautionary fable. As for the two main colors, one could argue that the blackness expresses the anger with which Åkerfeldt and company perform, while the redness illustrates the various emotions and passions felt during the full-length’s softer moments. Obviously, none of this is to suggest that the other Opeth albums don’t achieve a similar relationship between their music and images; Still Life just achieves the most with it. Musically, Still Life immediately sets itself apart from the group’s previous efforts with its decorative, sophisticated, and luscious opening, “The Moor”. While their prior sets started aggressively, this one fades in slowly with a compelling and delicate acoustic guitar arpeggio that glistens with warm despair. It’s by far the most elegant and prophetic beginning they’ve ever had, and the way it blends into the ensuring devilishness is brilliant. The remainder of the song features ingenious modifications and transitions between riffs, rhythms, and especially tones, as Akerfeldt perfects the art of segueing between sections with meticulous grace.